Technology Changed human being life today . Many people using smartphones nowdays. if You are planing to make a your own app there are multiple ways of app builder/designer softwere available in the Internet. There are two types of app Desining platform are famous. that is Coding platform and non coding (Drag and Drop) App making solution. Coding platform is the best app developing platform But you need to advance knowledge of app developing scripts. in this case there is several ways to creat app easy by drag and drop platform. Both of these app platfrom accept to publish app by Google Playstore Policy. you never do not cheat hack crack another developer app. finally Upload on Google play Console you need to google developer console account. To signup google play console acccount you need to pay arround 25$ to google . then you can publish your app by accepting Google admob/Adsense policy. Andorid studio is the best app developing softwere of google . Android Studio provides the Developer very fastest tools for building apps on every type of Android device. you can develope very profestional app using the android studio. This a full coding platform for app developing. You need to some extra knowledge like java C/C++ language to use Android Studio. you can get best security features with android studio its google official Developer . its completly free to use the softwere by google. You can earn revenue by banner/intertial admob ads serving on this platform . Appybuilder is the another free drag and drop mobile app builder platform. even you have know advance coding idea you can creat app here. yo donot need to any coding skills. 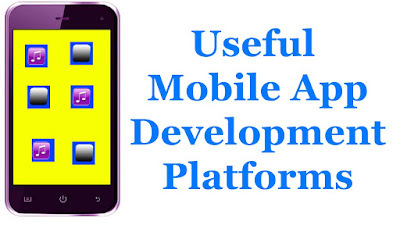 non coding app develping platform appybuilder also best for you. You can chage your custom app id on appybuilder with one screen. its Originally based on MIT app inventer. This platform allows anyone to quickly design and build Android apps to publish anywhere. google play store accept this platform app publish . You can earn revenue by placing google admob ads. Makeroid also app builder platform without coding. it helps to build app drag and drop with blocks components. you can use many extension to make profestional app. Makeroid devloped by Kodular. its totally free to use. When you make app using Makeroid one of the other benifits is facebook audience network ads also can serve here. you can earn more revnue with facebook ads. Makeroid support Admorb banner and intertial ads too. but you can not publsih google play store with facebook ads becasue of Google Admorb Adsense policy. if you publish another app store you can serve both of ads. Thunkable is the another famous free app developing platfrom of india. its also non coding Drag and Drop platform. Thunkable allows to build mobile apps for iOS and Android both platform. Thunkable recenlty launched the paid version of app making platfrom for pro users but you can make also free version of clasic platform with thunkable. its is very easy to use thunkable. you can earn revenue by placing google admob banner and intertal ads accepting google admob and adsense policy.